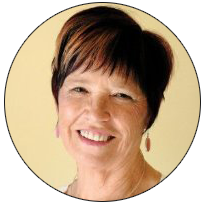 Heather Dorothy Pollock – Author of "The Solution Is In Your Hands"
Author of "The Solution Is In Your Hands"
Do you have a similar mission to mine – that is to positively change children’s lives and experiences? I am Heather Pollock. Welcome to my website and thank you for connecting. I am looking forward to interacting with you. The fact that you’ve landed here tells me that maybe you are searching for solutions. You may also want to change a child’s experience of constant difficulties. Difficulties that have been labelled as ADD, ADHD, SLD, Dyslexia, Asperger’s Syndrome, DCD, MBD, or other difficulties. If so, then you have come to the right place, because I now know what has likely caused these difficulties! What’s more, after 20 years of gaining amazing outcomes through my work with thousands of children – I can confidently say that I have the solutions; – solutions that are backed up by research! I now offer to you the same answers and strategies that I use in my clinic. Strategies that you can be assured will make a massive difference. AND as a professional, YOU will be paid and acknowledged for your efforts; OR YOU as a parent or grandparent, will reap the reward of seeing the children you love, grow with resilience, self-worth and pride – without struggles and disappointments. That may sound exciting or it may sound daunting! Either way, it begins with simple steps and you’ve taken an important step by coming here.Many people, just like you, have been delighted – because they also took that step. 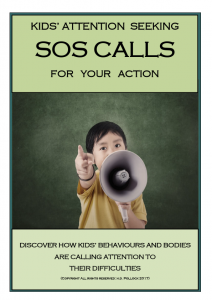 YOUR NEXT STEP is to become aware of the often overlooked indications of children’s difficulties by simply clicking on my free booklet ‘Kid’s SOS Calls for Attention’.This will provide you with a check list of what to look for in children that indicate existing or impending difficulties. The good news is that no matter the difficulty, it can be supported with natural strategies that will be acceptable in schools and the community – without the need for medication or overloading the child or teacher with more school work and learning. Nor will it impact on the family budget. Just imagine the benefits to you as a school administrator, teacher or aide, if you could positively change children’s learning outcomes, behaviour and anxiety in a relatively short period of time. Imagine the impact on the whole class and overall school outcomes, staff morale and job satisfaction and your sense of making a difference. It can be done! Health professionals and therapists – think of how satisfying it would be to provide concerned parents with the reasons and strategies for the problem, simply by observing the child. Last but not least, parents – imagine the relief and peace of mind in being able to identify and actually have the tools and strategies to change what is happening for your child or children. Imagine the joy of seeing your child move on through life in leaps and bounds without being crippled or hurt by stress, anxiety, failure and disappointment. Just imagine what it would be like for our communities, if we could positively change children’s view of the world – WE CAN DO IT – THAT IS PROVIDING WE TAKE ACTION – THE SOLUTION IS IN ALL OUR HANDS.